*Warnings: In case you hadn’t figured it out from the title, this post is religious. And I’ll warn you now, not only is it religious, but it’s potentially controversially religious. I’m accepting right up from that there will almost certainly be people, both Non-Mormons and Mormons alike, who are angry and offended by this post. To them I say, you have that right. And I’m sorry that you chose to be offended rather than to just tell yourself that I’m crazy (because I have no problem with your thinking that I am, it really doesn’t bother me) but that is your right as well. I also want to make it clear that this post is about the gospel that I believe in and despite the fact that we may be members of the same church, we may be members of the same ward, we may sit next to each other in relief society, it’s probably not quite the same gospel that you believe in. That’s just the way it works. You have been warned. On the first Sunday of each month members of the Church of Jesus Christ of Latter-day Saints (hereafter referred to as Mormon’s because it’s a lot easier to type) are encouraged to fast. In fasting we forgo two meals and/or go 24 hours without eating. (The purpose of this is to refocus on the spiritual rather than the physical but that really has nothing to do with this post so that’s all the detail you’ll get on it from me.) 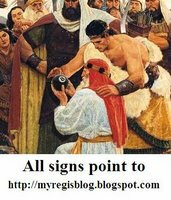 The sacrament meeting (Mormon version of mass) that coincides with this fast is called Fast and Testimony meeting and members of the ward (congregation) are encouraged to bear testimony (witness, to you born againers) to the rest of the ward. I’m not sure that there is anyone of my acquaintance, and that includes at least two general authorities, who can really say that they know. (Alma 32:17&18…If thou wilt show unto us a sign from heaven, then we shall know of a surety; then we shall believe. Now I ask, is this faith? Behold, I say unto you, Nay; for if a man knoweth a thing he hath no cause to believe, for he knoweth it.) And I would be willing to bet that there is no one in my ward who has received inspiration sufficient to know that the church is true. I don’t believe that I know anyone who has been visited by the Lord and to my mind that’s about the only way that you can know. I tend to be a pretty literal person. I don’t mind a metaphor or a simile here or there as long as it’s clear you’re talking in metaphor or simile. I don’t even have a problem with exaggeration provided we know you’re exaggerating. But the people who get up in Fast and Testimony meeting are not using literary devices, they may be (and probably are, I think) giving that particular line more or less by rote and meaning that they believe, without thinking about what it actually means, and that’s fine, I get that, we all do that kind of thing here and there, and I’m not going to corner you after the meeting and grill you about your precise meaning. (Or maybe they do really know, or think they know which is fine too, it’s really none of my business.) I’m just not going to say it myself. What I am going to say is that I believe. I believe in a God who loves me and wants what’s best for me because I am his daughter. I believe in justice and I believe in mercy, and so I believe that that God has a Son who met the demands of both because I can’t. I believe that I am a member of a church that makes me a better person, a church that teaches me to love and to accept everyone, but that makes the distinction between accepting and loving the person and accepting and loving their sin. I believe in good and I believe in evil and I believe that there’s a difference. And I believe that that difference matters. And because I believe that difference matters, I believe in a God who offers second and third and fourth… chances, a God who offers those chances not only in this life but in the next as well. And I believe that the Church Of Jesus Christ of Latter-day Saints taught me all those things and that it teaches me to be the best version of myself. I believe all these things because I choose to. I make that choice full acknowledging that I could be dead wrong. It’s possible that there is nothing more than this life and that when I die it’s all over. In that case I don’t think that I’ve lost anything having made the choice that I am making. It’s possible that I’ll die and find that the afterlife is a come one, come all affair and that it makes no difference what kinds of choices I made in this life. If that’s the case then in all reality I’m not that interested in the god who’s running the show, I don’t have a lot of interest in a god who isn’t trying to improve people, but even that disapproval won’t matter so again, I haven’t lost anything. It’s possible that I’ll get to the other side a Buddha will be sitting there and he’ll shake his head at me and say “you know, you really missed the boat, Buddhism was the way to go.” But if that Buddha is the kind of god that I am interested in, then the next line will go something like this, “but you lived a good life, and you tried to help your fellow man and sure you got a few of the details wrong, and you may have to do a little work to make up for that, but overall I say well done.” If the next line doesn’t at least have something to do with having tried my best and still having some way to improve, then again, I’m not that interested in that god. Could Joseph Smith been crazy or delusional or a phenomenally good con artist? Sure. But If he was then he was a crazy/delusional/con artist who started something that has done more good for the world in general, through charitable giving and humanitarian aid than any other crazy, delusional, con artist ever (and I don’t believe that that just happens) so I’d still giving him props. But I choose to believe that he was just what he said he was and that he did and saw just what he said he did. I choose all of that because to me that’s what faith is. The difference between me and that doctor that I work with has nothing to do with questioning, we both do that, I do it all the time, the difference is that he has no faith because he’s unwilling to be wrong. Having faith means choosing something with the knowledge that you could be wrong, with the knowledge that there’s no concrete evidence but choosing to believe it anyway. That’s why they call it a leap. by Alison Wonderland in How I Spend My Sundays, Who's In Charge of All These Little People? I said something absolutely inexcusable to my children this morning. I could go into details about the extenuating circumstances and about the time and the blah blah blah but none of it makes it ok.
And I know that, I want to not believe it, but I know it. A few minutes after my horrific explosion I was on facebook. I saw a link to this, and another link to this and another … I didn’t want to watch it, it was only going to make me feel worse. But somehow I did anyway. And it did make me feel worse. But it also made me feel better. PS. My favorite part is when she’s trying to get the kid out of the bathroom. Sean and I and the Wonderkids watched Swiss Family Robinson for a family movie the other night. So the movie starts and they’re shipwrecked and they get off the ship and they’re standing on the beach and the dad says “the first thing we need to do is sat up some kind of shelter for tonight” but then the mom says, “no, not the first thing” and then they all kneel down right there on the beach. Maybe it’s just me but, I think that’s something they’ll leave out of the remake. Pardon the blatant religion. Or, you know, don’t, whatever. There’s something I want. I say want because I’m not sure that it quite classifies as a need, but it’s a close thing. What I want is to register for Physiology. It’s the last class I have to take to fulfill the nursing prereqs and I just want to take it and get it out of the way. Unfortunately, Physiology has a prereq of its own, Biology, a class that I’m taking this semester but because I don’t have a grade for Bio, I can’t register for Phys. So I’m doing all that I can to get it, I’m making phone calls and sending emails and checking the computer and all that. When I first realized that I might have trouble registering for Phys I prayed about (also about whether I’d be able to handle the class without the Bio background) and the answer I got was that I shouldn’t worry about it, that I’d somehow be bale to get the class and I’d do fine in it. I think. And there’s my first problem. I believe that the Lord sends us signs, I believe that He talks to us and I believe that He points us in the right direction. Except really I believe that most of the signs are in the fine print, that He mostly whispers and that He does a lot more gentle nudging than He does pointing. I’d really rather He just grabbed me by the shoulders and turned me in the direction I need to go but it doesn’t work like that. I pray and I feel like I’m getting answers (sometimes) but, then I inevitably wonder if I’m just deluding myself, if my subconscious or something has just kicked in and calmed me down and it’s not divine direction at all, just my brain trying to lower my blood pressure. I’ve gotten better at trusting the calm, and I know that that’s the best way to be more sure that it really is an answer the next time, but it’s still hard. So here I am now, the semester’s started and I’m still not registered for Phys. And the brilliant plan that I came up with last fall, of showing up in class and explaining the situation to the instructor and getting him/her to register me has been shot all to heck and gone because the school has changed the method by which students are added to classes so it’s all back on me and I still can’t register because I still don’t have a grade for the prereq. So I’m back to the nail biting and hoping and calling and emailing and praying. And I’m back to the doubting my answer from before except that I’m getting the same answer now. But how can that be right? The class is sure to fill up and then even if I talk someone into my point of view they won’t be able to help me because there won’t be space! So I’m praying harder but well, that’s just silly right? I mean I’m an adult, how may times can I say please? What I want to do is offer something. I want to bargain. I’m on my knees and I find myself saying or at least wanting to say “get me into that class and I’ll go to the temple twice a month” or “I’ll make sure that I do scriptures with the kids every day, not just school days” or “I’ll never swear again”. (All worthy goals I’d like to point out.) But I know that that’s not how it works, I know that the Lord doesn’t work on the barter system, bad things happen to good people all the time, cheaters prosper with some amount of regularity. It’ll all even up in the end, I believe that too, but that doesn’t mean that I’ll get into the Phys class that I need whether I go to the temple every day or not. Nothing dang it. I need to keep trying to do my best, maybe I should try to read scriptures with the kids a little more but not so that I’ll get into Phys, just because I should. I need to keep doing everything I can to get into the class, and I need to trust the Lord that whatever happens, whether I get into Phys or not, will be the best thing for me and my family. I need to trust the fine print and the whispering and the nudges. But if you happen to see a billboard with my name on it, let me know will ya? PS. I got into the phys class this morning and in the end it was really easy, it took one phone call. Maybe the Lord was right and I didn’t need to worry after all. Huh. I just finished reading a book called Zippedby Laura and Tom McNeal, it was pretty good, and I’d recommend it to anyone looking for fairly lightweight teen fiction, but that’s not the point. (If that were all it was, I wouldn’t bother mentioning it.) The reason that I bring it up is that there’s a Mormon character in the book. It’s not LDS fiction, it’s set in New England somewhere (I imagine that it said specifically but it wasn’t crucial enough for me to retain) not Utah, and it’s just this one girl and her mother that are Mormon. And as soon it was mentioned that she was Mormon I was on alert. Was this going to be anti? Was she going to leave the church and realize that she had been brainwashed? (I have other objections to the whole “brainwashed” designation but that’s something for another post.) Was she going to be some sort of wooden characeture rather than a fleshed out person? Or some kind of holier than thou, miss priss? And she was none of those things. She was a real girl who liked and apparently believed in her religion. She was slightly conflicted but she was a teenaged girl, as teenagers weren’t we all at least slightly conflicted? (Aren’t we still?) She had a crush on a missionary, he had a crush on her, they chatted, even acknowledged the crush, she made him a plate of cookies, they even were as daring as to hug once. It’s not the kind of behavior that is recommended in the mission handbook but it’s not going to get anyone ex-communicated either. They wouldn’t even send him home for that. (Transferred sure, but not sent home.) And they didn’t. The girl wasn’t the main character of the book, she was the girl that the main character liked. So even the thing with the missionary was really just to add a little conflict. End of story. She didn’t leave the church, she didn’t even have a big crisis of faith. She was just a girl. I’m pretty sure this is the first time I’ve run into that in fiction, and the more I think about that the weirder it is. I mean, there’s a lot of us, we’re all over the place. You expect that in Utah of course. I can’t imagine that anyone would write a book set in Utah in which there were not Mormon characters (but then I’ ve never read a book set in Utah that wasn’t Mormon fiction) but it’s not like there are only Mormons in Utah. I grew up in Virginia. I was one of maybe 20 Mormons in my high school, not an overwhelming majority by any stretch but I think it’s safe to say that everyone in the school knew a Mormon. Probably most of the kids in the school would have counted at least one of us Mormons as a friend. We were characters in their lives who just happened to be Mormon, not necessarily good, not necessarily bad. We may have been having big religious crises but for the most part probably not, we were just going about our lives. I don’t see that in the books that I read. It turns out that at least one of the authors is probably Mormon. She graduated from BYU anyway, I haven’t looked up her church records or anything so I’m just extrapolating here but it seems a reasonable assumption. It’s harder to tell but my gut feeling is that her husband, the other author, is not. (The girl’s father is not Mormon, and … I don’t know something about it just makes me think that that part is somewhat autobiographical.) But I digress. The point is that it’s a little sad to me that as soon as I run across a character who is Mormon, I’m immediately afraid that somehow the book is going to say something negative about the church. I was surprised and, I have to say, delighted, to read a book with a character who was just incidentally Mormon.